A second brand and a brand-new flavour, “TAMET” has successfully addressed the expectations of different tastes with a variety of new consumer products. 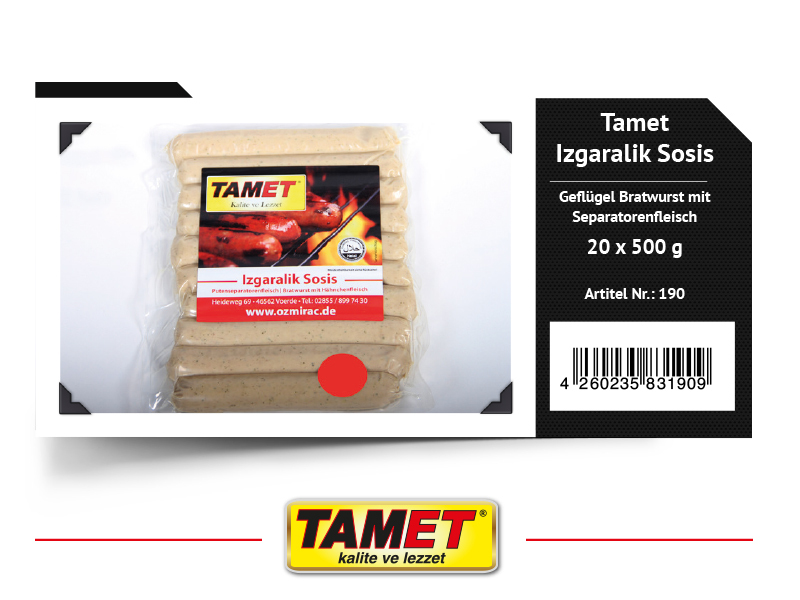 By the confidence and strength which came from the success of our Özmiraç brand, “TAMET” has emerged with the effort of widening our product range and offering our consumers numerous new and healthy flavours. 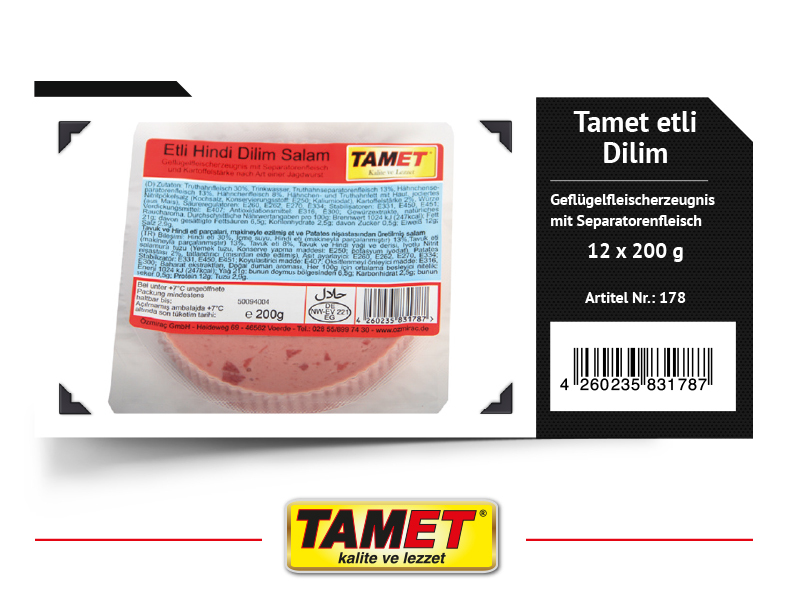 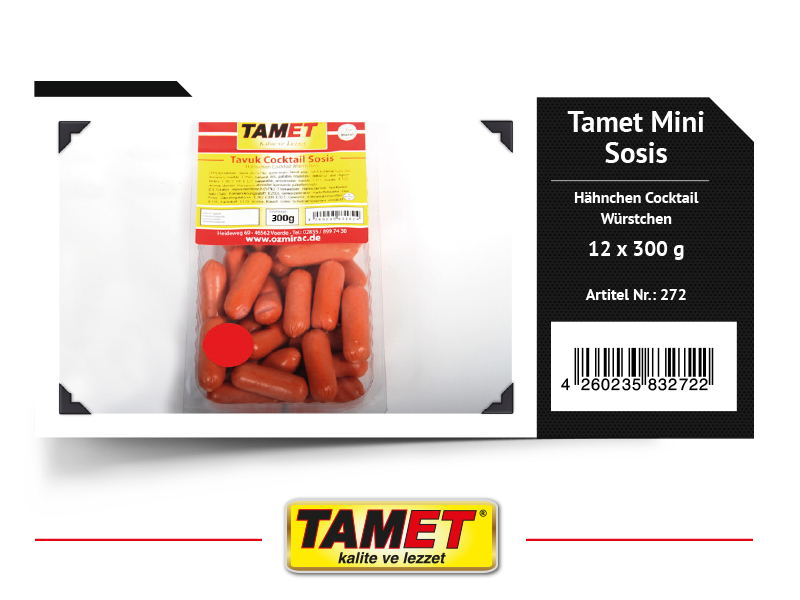 “Tamet” is determined to maintain and improve our high-quality standards with its product spectrum which are produced in hygienic environments with halal and healthy meats, like our other brands. 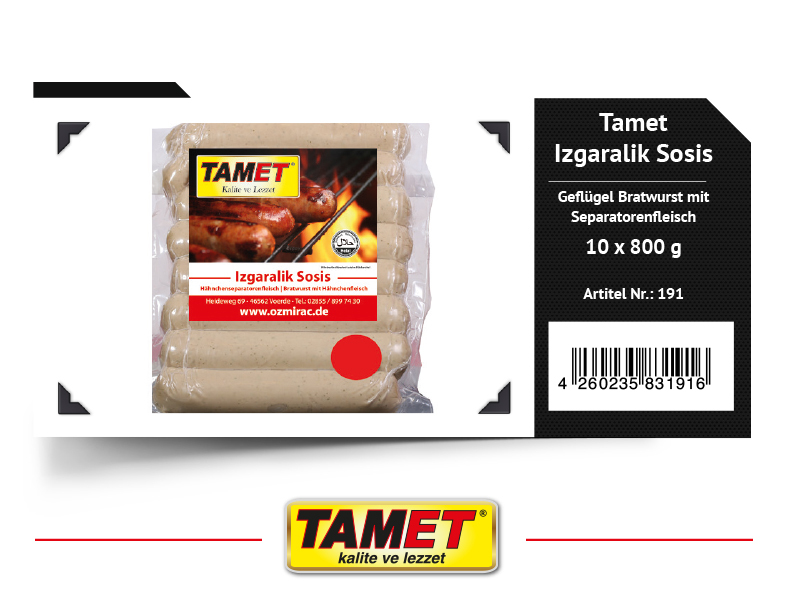 “TAMET” will continue to bring the “quality and flavour” on your tables with its budget.